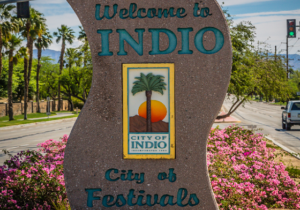 Indio, CA: Indio is alive with activity coming out of our summer season. Here are some highlights from around the city. The City of Indio issued a Downtown Indio Master Developer Selection RFQ on August 27, 2018, to seek developer team(s) for critical mass development and redevelopment of the historic downtown. Deadline to apply is October 11, 2018. Go to www.Indio.org for more information. A new festival is coming to Indio on November 2-4, 2018, residents and visitors will enjoy live music, great food, a spectacular car show, and a live auction of collector cars and memorabilia. Cars, Stars & Rock ‘n’ Roll offers a unique festival concept that combines both music concerts and food, which Indio is already known for, with a classic car show and auction. The event is expected to bring more visitors to Indio and the Coachella Valley during the fall when tourism is generally low. The event will also host Indio’s annual California BBQ State Championship & Festival previously held at the Lights at Indio Golf Course. World Champion auctioneer Rod Burnett will host the live auction along with emcee Brett Wagner who has appeared on the Speed Channel and Monster Garage. Admission is free and the event will be held at the Big Rock Pub/Indian Springs Golf Course at 79940 Westward Ho Drive. The Small Business Development Center’s “Whole Kitchen Sink” free six-week course for food entrepreneurs kicked off on September 17, 2018. The course teaches how to transform business ideas into reality, and provide hands-on opportunities to use a commercial kitchen. The course is taught by Greg Bell, a food consultant, chef, and owner of a Blaze Pizza franchise and catering company. The program takes place on Mondays 6-8 p.m., and ends on October 29, 2018. It is held at Riverside County’s Workforce Development Center on 44199 Monroe St., Suite B, Indio, CA 92201. The Indio Water Authority’s annual Water Quality Report is available to view at www.indiowater.org. Also known as the Consumer Confidence Report, it presents the results of test data from our distribution system and all of our groundwater wells that pump water from the Indio Subbasin of the Coachella Valley Groundwater Basin (Aquifer). To effectively regulate Unmanned Aircraft Systems (Drones) within the City of Indio recently approved a drone ordinance to promote health, safety and the general welfare of its residents. The city has implemented appropriate regulations of drones relate to zoning, land use, privacy, trespassing and law enforcement operations. Contact the Indio Police Department for more information at (760) 391-4123 or go to www.indio.org. The city of Indio is inviting organizations, non-profits and government agencies to apply for funding under its annual Community Grant/Sponsorship Program. Made available by the Indio City Council, the program is for the current fiscal year, which runs through June 30, 2019. The deadline to apply is September 30, 2018. Applications can be found on the city of Indio’s home page, www.indio.org.